Journal Of Clinical And Experimental Neurology is an open access journal dedicated to publish high quality scientific articles that describes the latest findings in the field of Neurology and Neuroscience. In addition to the core subjects, research articles in ancillary fields such as Cognitive Neuroscience, Psychology, and Psychiatry are also accepted. 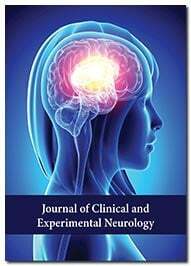 The Journal Of Clinical And Experimental Neurology procures a huge platform for the members of our scientific community, by accepting their commenced research work on the respective disciplines regarding Behavioural neuroscience, Clinical neuroscience, Cognitive neuroscience, Epilepsy, Infectious diseases of central nervous system, Interventional neurology, Molecular neuroscience, Movement disorders, Neurodegeneration, Neuroimmunological diseases, Neurorehabilitation, Pain, Stroke, Vascular neurology including other neurological disorders and their healing. Being a peer reviewed open access journal, Journal of clinical and experimental neurology helps the aspiring scientists and researchers to study, analyse and implement the particular research work of their expertise area from the journal, into their future scrutiny. For maintaining the quality in peer-review process the Editorial Manager has been provided to the authors, editors and the respective reviewers. Minimum of two reviewers’ approval followed by editor’s decision is mandatory for acceptance of any manuscript. Responsibility of Peroxisome Proliferator Activated Receptor-? (PPAR-?) in epilepsy.